Actor Park Yoo-chun, also member of JYJ, is taking over the Japanese television. His leading drama is going to be broadcast throughout Japan in August, proving his Hallyu stardom. "Three Days" is going to be broadcasted on KNTV every Saturday at 8PM. Cable TV DATV is going to broadcast two episodes of 'behind the scenes' footage from "Missing You" and "The Rooftop Prince" on the 15th and 22nd. 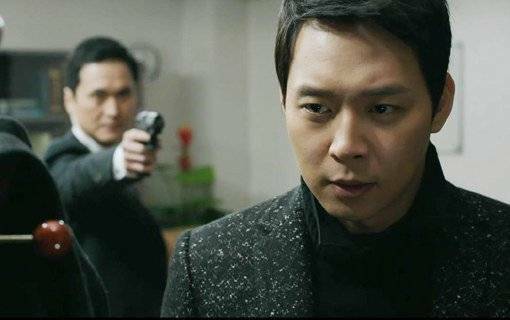 "The Rooftop Prince" will also contain Park Yoo-chun introducing the set to the viewers. "Missing You" has been spreading romance all over Japan and the drama is scheduled to broadcast on TV Tokyo in April next year. It also helped establish the exclusive fan meeting Park Yoo-chun is having in Yokohama on the 9th, this month. Meanwhile, as a member of JYJ, Park Yoo-chun began his 'The Return of the King' tour on the 9th, starting with the Jamsil Stadium. "Park Yoo-chun's drama to be shown in Japan"
[Photos] First stills of Gang Dong-won and Song Hye-kyo in "My Brilliant Life"